Astronomy is the oldest of the natural sciences, with its origins in the religious, mythological, and astrological practices of pre-history. Originally, peopled gazed at the sky and speculated about the nature of the Moon, the Sun, and the stars. The behavior and nature of the world and celestial phenomena came to be explained by invoking the actions of the various gods. Then, one god became the explanation for both. And then explanations for earthly events began to be accepted based on speculation as to their cause and nature, while celestial events were still felt to be of a divine nature, requiring no explanation. Eventually, human beings began to look for scientific explanations for both. Early on, the Earth was considered to be at the center of a celestial sphere, with the Sun, Moon, stars, and planets located on the surface of the sphere. The invention of the telescope about 400 years ago opened new avenues of research and speculation. The Sun and the Moon could be scrutinized in greater detail, and new planets came to be identified and studied. Slowly, the concept that Earth was not the center of the universe took hold, and eventually the notion that the Milky Way is but one of millions of galaxies became accepted. Speculation about life on the Moon and other planets became a hot topic. Some believed it a possibility; others felt it to be a fact, identifying what they felt to be canals on Mars and cities and even buildings on the Moon. New investigative tools, such as spectrometry and photometry, were developed for determining spectral characteristics and brightness, respectively, of cosmological objects. Then scientists began to look at the skies, detecting electromagnetic radiation other than visible light, such as infrared and X-rays. Others studied cosmic radiation, including background microwave radiation, neutrinos produced within the Sun, and ions of various elements. Theories about the evolution of the universe were developed, the two most prominent being the steady-state theory and the Big Bang theory. According to the steady-state theory, the universe has no ending and no beginning. As the universe expands, new matter is created so that the average density stays the same. The Big Bang theory, on the other hand, views the universe as being created approximately 13.7 billion years ago by a violent explosion. At the point of this event, all of the matter and energy of space was contained at one point, a singularity. The universe is seen to still be expanding from the explosion. Although the great body of knowledge we now call astronomy and astrophysics has come into being because of the work of astronomers and astrophysicists, many individuals from other disciplines have contributed, including those from mathematics, physics, engineering, and chemistry. Many of the earlier astronomers made significant contributions without having the benefit of a formal education. To those who made significant contributions to astronomy and astrophysics, and I inadvertently left them out of this book, I humbly apologize. Those individuals whose contributions have been mainly physics are notably absent. An additional volume, The History of Physics, was published earlier this year. I have chosen to approach the history of astronomy and astrophysics from a biographical point of view, feeling that people are more interesting than things, and the combination of the two are more interesting than the sum of the individual parts. 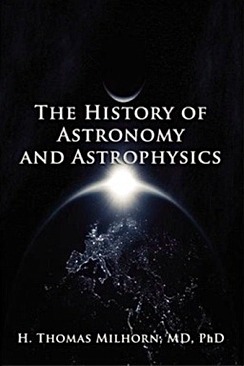 After a brief overview of astronomy and astrophysics, 297 one-page biographies of individuals who have made significant contributions to the field of astronomy and astrophysics are presented.